The German government should not use the upcoming national elections as an excuse to defer discussions over Greece’s debt, Konstantinos Michalos said in an interview with euractiv.com. Konstantinos Michalos is the President of the Athens Chamber of Commerce and Industry. He spoke with EURACTIV’s Sarantis Michalopoulos. How can the Greek business sector adopt an export-driven mindset considering that Greeks are faced with capital controls and a banking sector, which cannot be supportive. How do you address this situation? Concerning the capital controls, we need to restore the confidence and credibility in the Greek economy and banking sector. With capital controls from the end of June 2015 until today, this could not be the case. Some measures have been taken to lessen the extend to which export-driven companies are concerned, by way of allowing them to transmit funds abroad in order to import raw materials and anything else required. However, we still have an economy which is tied down to capital controls and bank deposits are not expected to increase to levels that we would like, such that would enable the banking system to provide the necessary liquidity for the Greek economy. So, the major target for the moment for both the private sector and the government is to restore the confidence and credibility of the Greek economy. It’s not happening at the moment and this is the reason why I think there has to be a combination of efforts not just from the Greek government but also from the political system. Me, as representative of Greek SMEs since 2012, I have been speaking about greater cooperation of the political system. They [Greek politicians] need to decide that this is a national crisis and, therefore, national criteria should prevail as well as cooperate so that we can have one unified and strong voice toward our EU partners and lenders. Otherwise, it will be very difficult with the situation as it is developing in Greece. We have a left-wing government applying a certain set of economic policy measures and on the other hand, the major opposition which is providing a different type of solution, that has not been approved by the European partners and lenders. We need to unify our political voice and on the other hand, our European partners and lenders also have to stand very clear on the promises they made in 2012. Now that the third memorandum has made a progress, now that the prerequisites of this memorandum have been completed, it is high time we discussed the issue of debt and, of course, a full review of the economy concerning the high taxation. It’s evident that with the current taxation levels we simply cannot continue. It’s true that in November 2012 Greece’s lenders did not deliver their promise regarding the debt. Greek premier Alexis Tsipras recently told euractiv.com that the Greek debt was not an issue for optimism but a clear part of the agreement signed last July. I am asking you the same question: Do you believe that this time EU partners are convinced that Greek debt talks should actually take place? I don’t know whether they are convinced and to be honest, if we want a true European Union then we have to be very clear and frank between each other. Germany, the superpower of the EU, has two major election procedures in 2017, one in March and one in September. These elections should not be used as an excuse to defer the discussion regarding the Greek debt. They made a promise and they have to deliver, and they have to deliver now. You also mentioned the heavily taxed business sector in Greece. Many see the danger of many SMEs “dying” soon. Are you in contact with the Greek government on the issue? Are they planning to take any action? This discussion has since long ago been held between the Greek government and the institutions, I am not referring only to this government but also the previous ones. Over-taxation is a phenomenon that we have been experiencing since 2010. Taxing the private sector has always been the easy solution, but we now know its extremely negative results. The more you tax the less revenues you have. Any first-year student in an economics university across the globe will be taught this. Let’s reverse this policy. We have seen it being implemented for 6 years and it has neither brought the desired results nor the necessary growth they were hoping. We need to apply a different type of economic policy. Now regarding taxation, it’s not only the left government that begins to realise its negative impact on the overall economy. All of a sudden, we have as an ally the International Monetary Fund (IMF), which can be accused, though, of many negative policies applied in Greece since 2010. But, they [IMF] are the ones essentially alarming Northern Europeans, primarily the German government, by saying ‘Hey we have two issues, one is the debt that needs to be discussed today, and the other issue is the overtaxation of the Greek economy’. Because, the combination of those two cannot lead to a positive solution and growth rate. We need to take advantage of this alliance, but I will repeat it: we also need a unified political voice, which will have a more satisfying result than today. If we don’t reverse these policies, if we wait until the beginning of January 2017 where the tax law that has been passed will actually be implemented, we will have specific professional categories earning more than €40.000 per year, being taxed at levels varying from 60% to 75% of their annual income. You can fully comprehend that such rates were not apparent even in the Soviet Union. What we will see in the next few months is the relocation of many Greek professional classes in other neighbouring countries like Bulgaria but mainly Cyprus, where the tax rate is not more than 17%. You focus a lot on the need for stability. 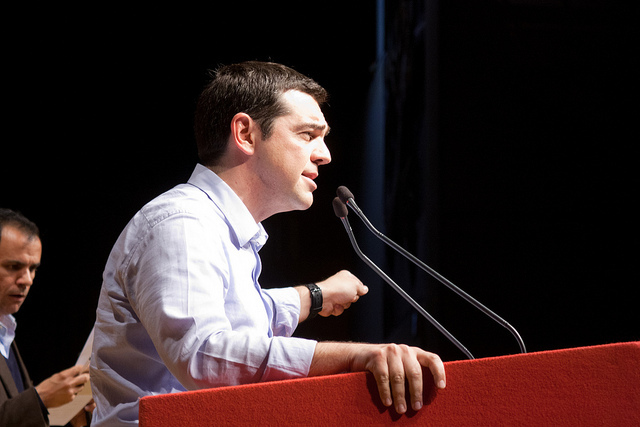 The main opposition keeps asking for the Syriza-led government’s resignation and snap elections. Could that be a solution according to you? Absolutely not. Absolutely not. Categorically not. Because this will be disastrous for the Greek economy and the country overall. The last thing the market needs today is another election process, which will not probably bring a strong government and therefore, will be followed by another election in which a fully proportional electoral system will be applied. To my view, this would cause complete chaos to the country. What we need is seriousness, cooperation and solidarity at all levels, primarily on a political level, so that we can pass a message of unity, unified speech toward the EU partners and the institutions, to be able to gain exactly what we need in order to get back to the path of growth. We recently saw government’s moves getting closer to the business sector, like the much-awaited deal between energy firm Mytilineos and the Public Power Corporation (PPC). Is this a sign of rapprochement? When I last met with the Greek prime minister three weeks ago, I got exactly the same sense. It seems it’s now accepted that business deals need to be concluded in Greece. Of course, this brings up the issue of privatisations. They can take place in an upright way whereby a potential investor approaches the government, makes a particular one-off purchase and handles the issue on his own. Now, there seems to be – and honestly I would not oppose this – another type of privatisation scheme, where the private investor upholds the largest part of an investment but there is also the participation, not management, of the state. We have an excellent example of such an investment which is the Athens international airport Eleftherios Venizelos. It is a highly profitable company, which last year made profits of €120 million and of course, there is a 35% participation of the state. But the management remains in private hands. This is an excellent example we should explore. At the moment, there are 10 mature business proposals in Greece we can proceed with this type of model. I’m quite hopeful that the next months this will begin to materialise as it will be crucial to regain confidence. Such action will bring back the country’s credibility. 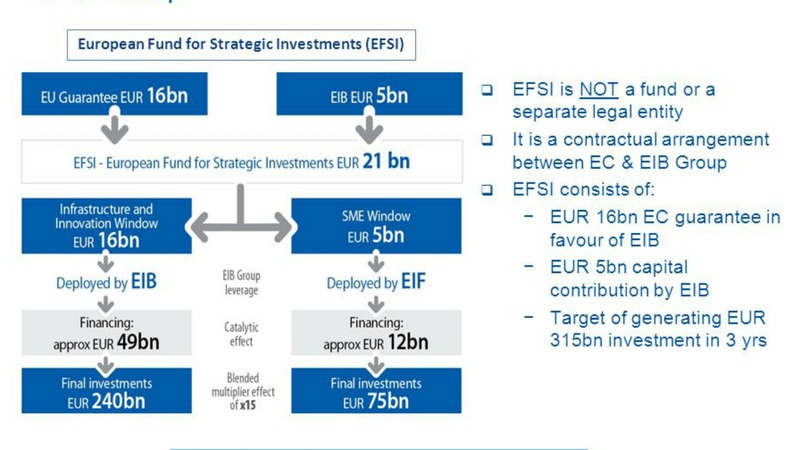 What is your opinion about so the so-called Juncker Investment Plan? Can it be properly used by less developed countries like Greece? Unfortunately this is the case of such schemes for the southern Mediterranean countries. But I do hope that with a number of actions that have taken place over the last two months things will change. In addition, at least one company, Fraport, which has taken up 14 regional Greek airports, is using the Juncker plan to a great extent. Although large projects maybe the ones that will attract Juncker Plan funds, these projects once they are applied they will also use a great number of SMEs that will come underneath a particular project and therefore, even in an indirect way, there will be benefits for the SMEs. The European Commission plans to improve the geographical reach of its flagship investment scheme popularly known as “the Juncker plan”, after the first year of its operation showed that mainly the richest 15 countries of the 28-nation bloc benefited from it. Would you like to say something regarding the current state-of-play of the EU? Do you agree with the EU integration process as it currently is? To be honest, I have tremendous question marks. I think we have diverged a lot from the European vision that we had perhaps 10 years ago. We don’t see the necessary level of solidarity and coherence. Over the last 18 months it has been evident with the refugee crisis, we noticed tremendous divergence between Southern and Northern Europe on this issue. Once again, the major burden of this refugee wave has been taken by the Southern European countries at a time where their shoulders could not stand it. It is extremely unfair, but overall we are lacking the European vision we were all optimistic about a few years ago. So you back moves like the Euro-med “rapprochement”. If we can build a stronger voice that will affect the mechanisms of Northern Europe then we need to do it. Because otherwise, we need to examine more radical issues which I think we should not bring at this particular time. EXCLUSIVE / The meeting of leaders from Southern European countries taking place in Athens today (9 September) will put Mediterranean issues on the EU agenda, without attempting to create divisions, Greek Prime Minister Alexis Tsipras told EURACTIV.com in an interview.